Properly lubricating the inside of a heavy-duty engine requires more than just creating a protective film. Quality heavy-duty engine oils must also disperse soot and control sludge to extend your engine’s life. Our most popular engine oils are listed below. Properly lubricating the inside of a heavy-duty engine requires more than just creating a protective film. Quality heavy-duty engine oils must also disperse soot and control sludge to extend your engine's life. Our most popular engine oils are listed below. An industry-leading, super premium quality engine oil that exceeds industry and engine manufacturers' performance requirements. Formulated using ISOSYN® technology, Delo 400 LE rivals synthetics in critical performance tests and contains an optimal blend of the latest technology in dispersant, detergent, oxidation inhibition, antiwear, corrosion inhibition, viscosity improver, and defoaming additives. When "average" conditions turn into something more severe, you need to protect your valuable equipment with an engine oil that is made to perform under heavy loads and adverse conditions. Delo 400 LE Synthetic SAE 5W-40 has been specifically designed to meet the demands of newer, low emission engines equiped with advanced emission control technologies, while at the same time providing the highest level of performance in pre-2007 engines. This product utilizes viscosity index improvers to promote stable viscosities and soot dispersion between oil drains, contributing to maximum vehicle utilization and minimal downtime. With its low viscosity, Delo 400 LE Synthetic Engine Oil promotes consistent cold engine starting. Delo 400 Multigrade SAE 15W-40 is a premium quality engine oil designed for pre-2007 engines and higher sulfur fuels (> 500 ppm sulfur). With exceptional soot dispersancy and wear control, Delo 400 Multigrade SAE 15W-40 protects cylinders, pistons, rings, and injectors against wear and corrosion, providing optimum service life and minimal maintenance. Designed for subzero, arctic-type temperatures, Delo 400 Synthetic SAE 0W-30 is a mixed fleet motor oil recommended for naturally aspirated and turbocharged four-stroke diesel engines and four-stroke gasoline engines in which the API CG-4, CF-4 and CF service categories and SAE 0W-30 viscosity grade are recommended. 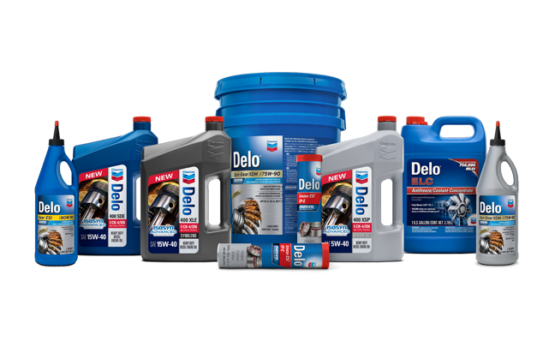 Delo 400 heavy-duty motor oils are mixed fleet engine oils recommended for older four-stroke diesel and gasoline engines. Formulated with advanced additive technology, they provide excellent control of deposits and sludge, minimizing oil consumption and optimizing engine overhaul intervals. High-performance crankcase oils recommended for use in farm machinery, construction equipment, marine, older two- and four-stroke diesel engines, and other off-highway applications where the SAE 30 or 40 grades are specified by the OEM.